I really was spoiled rotten on Wednesday. 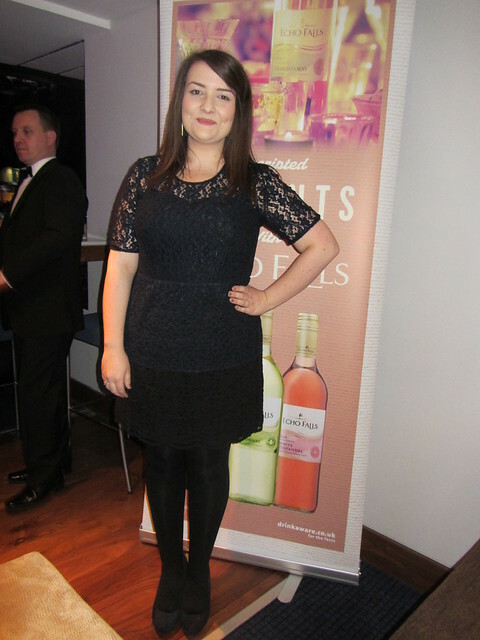 I attended the National TV Awards as a guest of Echo Falls wine and I had a truly memorable evening. Not only did I get to hang out with Sarah, Ashley and Charlie, I also had the opportunity to watch all of the awards ceremony live and and feel like a VIP for the night. I spent all week worrying about getting stuck in London because of the snow and had to wear my snow boots until we got to the venue but quickly changed into heels once I got inside. A bit of snow would never stop me from being in the same room as the cast of Dr Who. 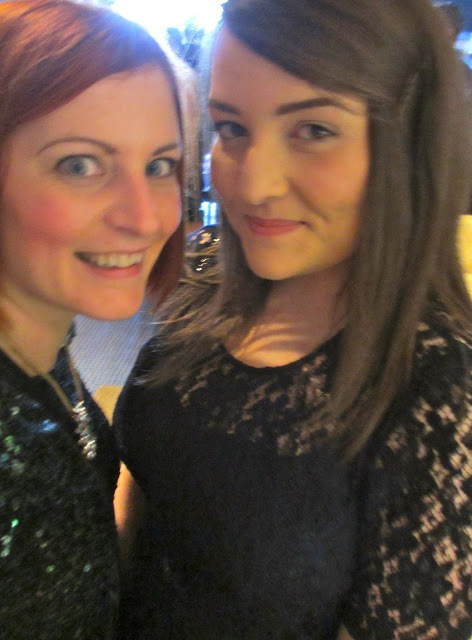 We had a great view of the ceremony from our suite and got to kick back with some lovely nibbles and a glass of wine. 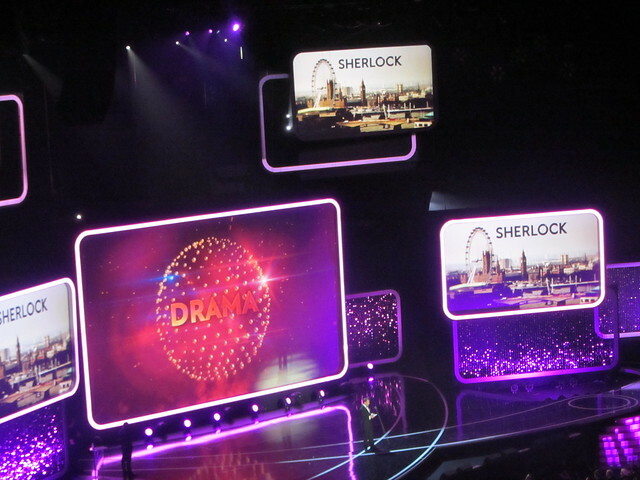 I would normally be watching the show with a mug of tea in my dressing gown so it all felt very posh. Charlie and I were whooping and cheering when Sherlock and Dr Who were up for awards but sadly they lost out to (in my opinion) far inferior shows. There were performances from Kimberly Walsh (who sounded fine in the arena) and Ella Henderson. Two of my favourite women, Mary Berry and Clare Balding presented awards. I also paired it with some long gold earrings, my mums gold and navy blue ring and my black patent Vivienne Westwood clutch bag. Sarah looked very glam in her green sequin dress and Ashley and Charlie both had gorgeous long dresses which were very awards appropriate. 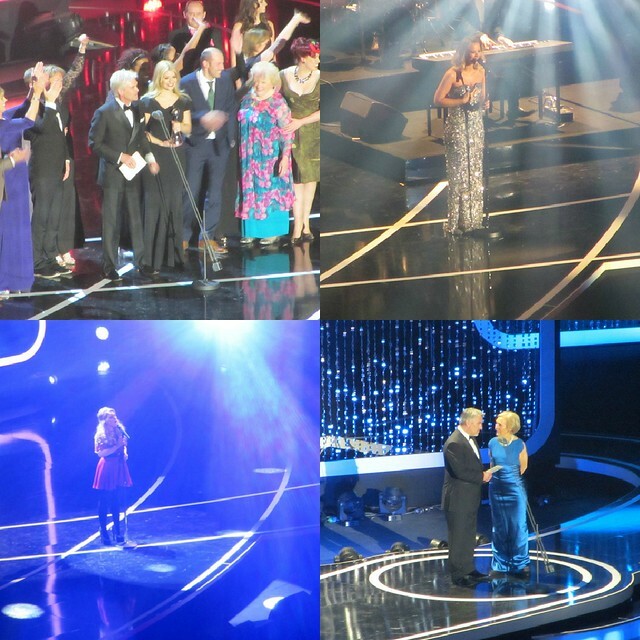 I will always remember the NTAs as the day I shared a lift with Clare Balding and shook Arthur Darvill's hand. I was so very star struck and thoroughly enjoyed myself. I'm going to have to plan something fun this weekend to get over my post NTA blues. Thanks again Accolade Wines. omggg!! how lucky are you to go to an event like this!! looks like you had a fab time! This sounds amazing, you lucky thing. Lovely dress too by the way! The dress you ended up going for was a good choice, you look beautiful. Sounds like a great night, you look fab! That dress is gorgeous, especially the sleeves. You look stunning, very jealous!